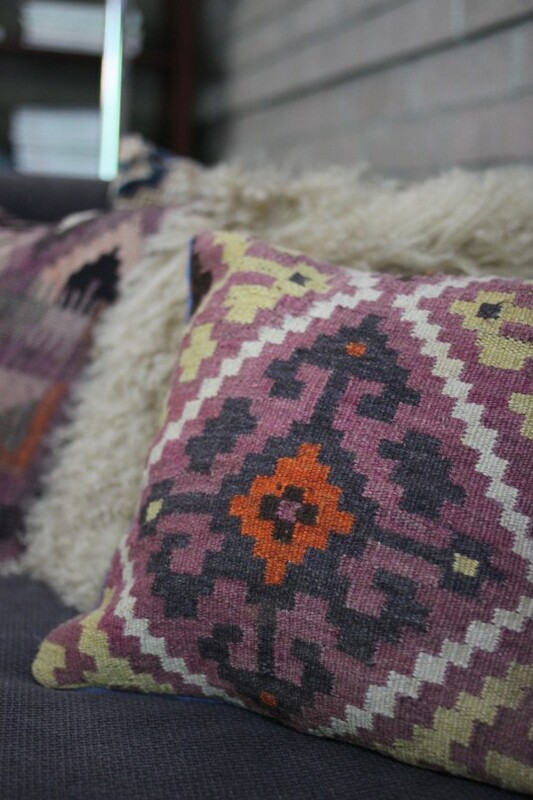 Over the weekend I played around with the pillow shams I bought in Cambridge at my favorite rug shop last month. 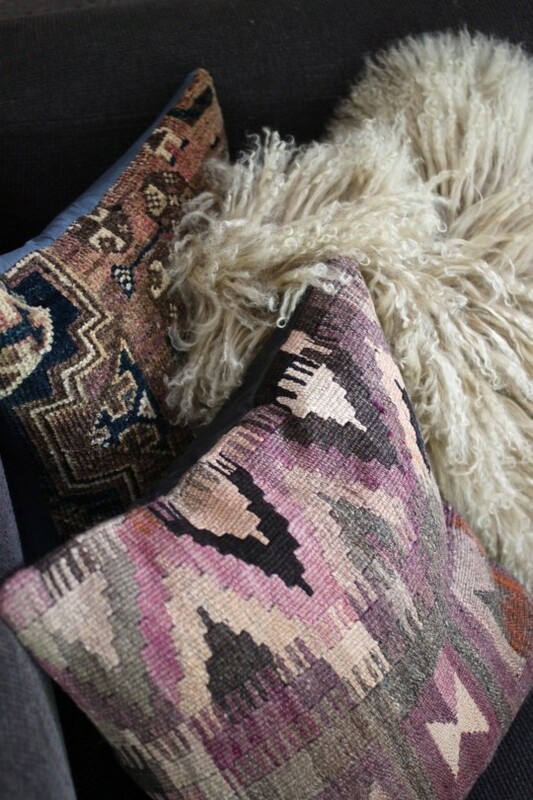 Using inserts I already owned, I stuffed the kilim covers and placed them on our sectional. 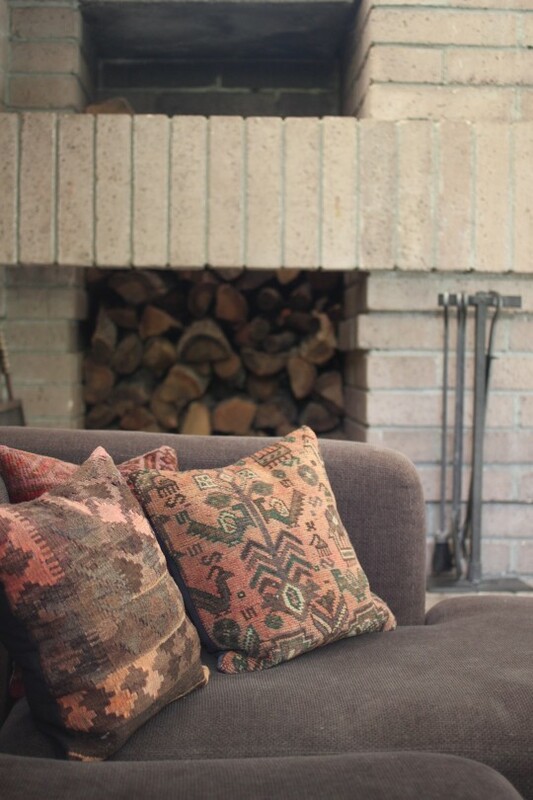 Our prior pillow collection was a mix of kilim, cotton and shag in light natural tones, but I'm really liking the way the deep pink hues look with the dark brown sofa and the brick wall. The plan is to get a few more to balance out the large seating area and to purchase art for the brick wall. Take a look at our renewed sofa. I love mixing things up every once and while around the house. The kids take notice and the space suddenly feels revived. 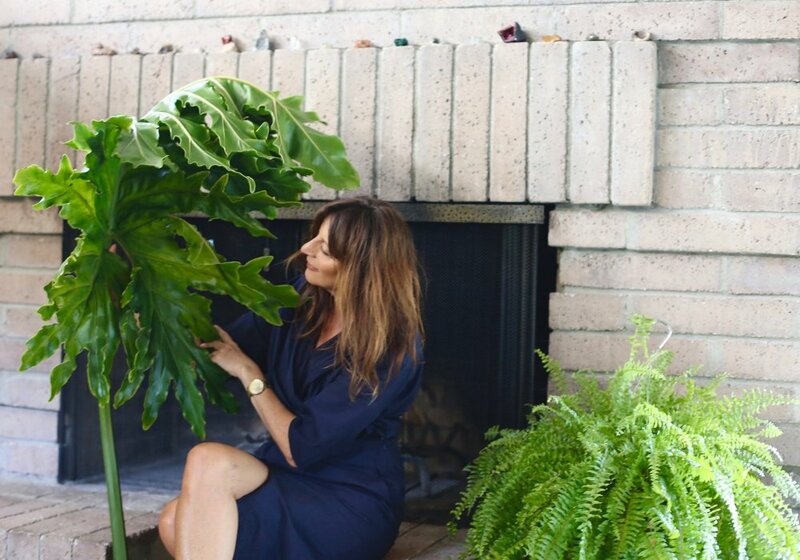 Here's a few more ideas to freshen up your space with little or no money spent. 1. Remove curtains or replace them with a patterned fabric that is appropriate for the season. 2. 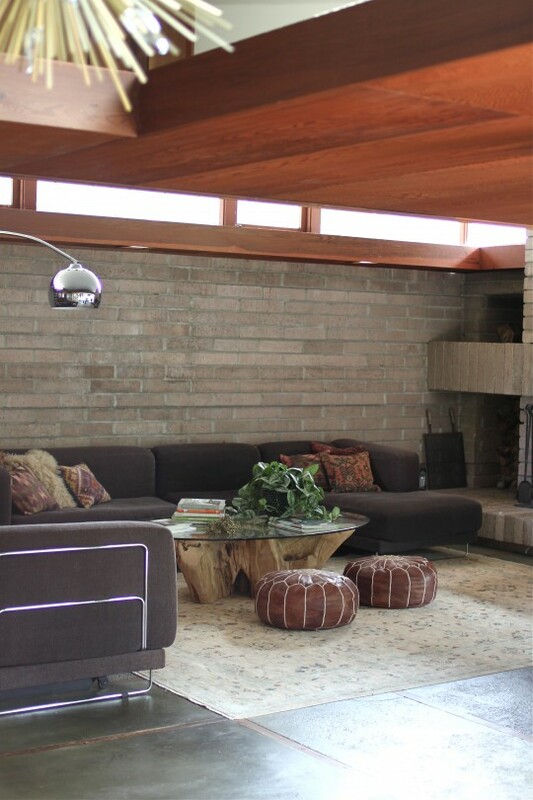 If space allows, re-arrange your furniture. 3. Add plants or repot the ones you have in coordinating containers for focal interest. 4. Give your sofa or chair a new look by draping a throw on it. 5. Rehang your art or find wall space for pieces you haven't hung yet. 6. Rearrange your coffee table accessories; add books and magazines that you may not have read in while. Keep books open to a page you find inspiring. 7. Let your kids change things around for a day. You'll either be completely mortified or pleasantly intrigued by how they see the space. It's only for a day! If you recently made some changes around your house, I would love to hear about them.